Police located a woman at Route 114 and the USM campus, who complained on July 14 about being attracked by horseflies. A man contacted police on July 18 to report that he and his wife had an argument but no crime had been committed. Amber L. Loring, 27, Holden Lane, Windham, on June 26 on charges of operating while license suspended or revoked and violating condition of release, on Wood Road. Nicholas C. Rausch, 39, Bedell Street, Portland, on June 27 on charges of operating under the influence (alcohol) – no test, one prior; and violating condition of release, in Gorham. Paul F. Hooper, 37, transient, on June 29 on charges of trafficking in prison contraband, unlawful possession of scheduled drug, failure to appear and violating condition of release, in Gorham. 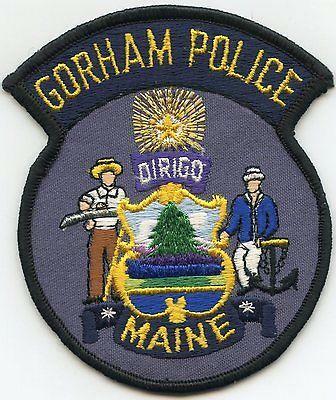 Matthew P. Gilboy, 20, Auburn, on June 30 on a charge of disorderly conduct, in Gorham. Nicholas C. Rausch, Bedell Street, Portland, on June 30 on a charge of violating condition of release, on the bypass in Gorham.